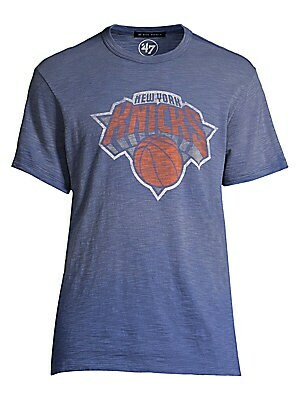 A sporty logo defines this vintage-wash cotton tee. Banded crewneck Short sleeves Pullover style Cotton Machine wash Imported SIZE & FIT Slim fit About 28" from shoulder to hem. Men Adv Contemp - Contemporary Tops. 47 Dye House. Color: Blue. Size: Large. A sporty logo defines this vintage-wash cotton tee. Banded crewneck Short sleeves Pullover style Cotton Machine wash Imported SIZE & FIT Slim fit About 28" from shoulder to hem. Men Adv Contemp - Contemporary Tops. 47 Dye House. Color: Blue. Size: Medium. 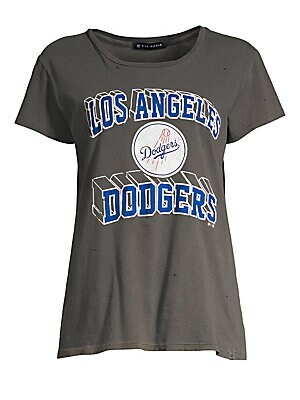 A sporty logo defines this vintage-wash cotton tee. Banded crewneck Short sleeves Pullover style Cotton Machine wash Imported SIZE & FIT Slim fit About 28" from shoulder to hem. Men Adv Contemp - Contemporary Tops. 47 Dye House. Color: Blue. Size: Small. 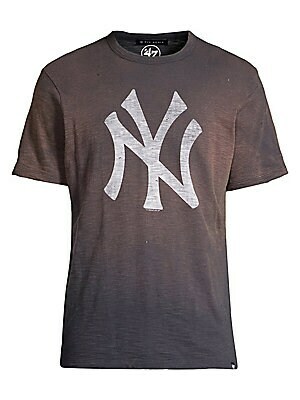 A sporty logo defines this vintage-wash cotton tee. Banded crewneck Short sleeves Pullover style Cotton Machine wash Imported SIZE & FIT Slim fit About 28" from shoulder to hem. Men Adv Contemp - Contemporary Tops. 47 Dye House. Color: Blue. Size: XL. A sporty logo defines this vintage-wash cotton tee. Banded crewneck Short sleeves Pullover style Cotton Machine wash Imported SIZE & FIT Slim fit About 28" from shoulder to hem. Men Adv Contemp - Contemporary Tops. 47 Dye House. Color: Navy. Size: Large. A sporty logo defines this vintage-wash cotton tee. Banded crewneck Short sleeves Pullover style Cotton Machine wash Imported SIZE & FIT Slim fit About 28" from shoulder to hem. Men Adv Contemp - Contemporary Tops. 47 Dye House. Color: Navy. Size: Medium. A sporty logo defines this vintage-wash cotton tee. Banded crewneck Short sleeves Pullover style Cotton Machine wash Imported SIZE & FIT Slim fit About 28" from shoulder to hem. Men Adv Contemp - Contemporary Tops. 47 Dye House. Color: Navy. Size: Small. A sporty logo defines this vintage-wash cotton tee. Banded crewneck Short sleeves Pullover style Cotton Machine wash Imported SIZE & FIT Slim fit About 28" from shoulder to hem. Men Adv Contemp - Contemporary Tops. 47 Dye House. Color: Navy. Size: XL.